Interested in a partnership with Schadow1 Expeditions? 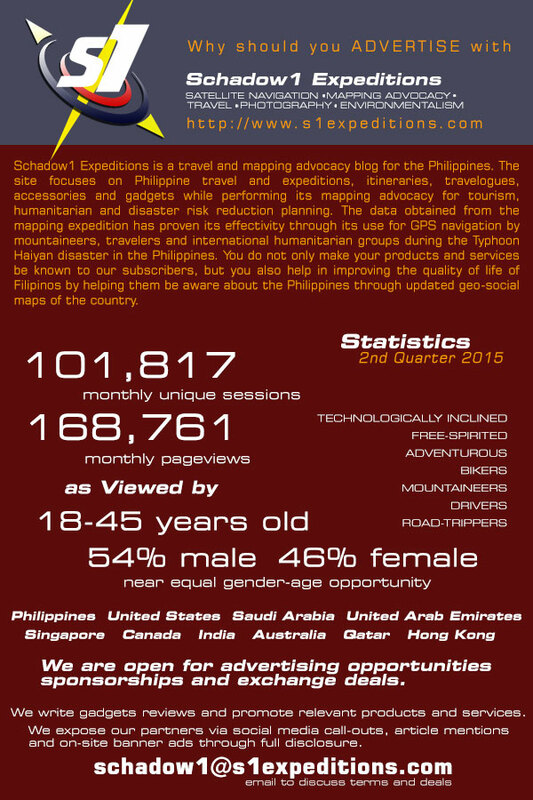 We are a travel and mapping advocacy resource site for the Philippines and focuses on write-ups about Philippine travel, expeditions and its itineraries with travelogues; accompanied with accessories and gadgets for mapping the Philippines for tourism and disaster resiliency planning. Partnership with us through advertising, x-deals, and sponsorship also help in improving the quality of life of Filipinos by helping them be aware of their homeland through updated geo-social maps of the country.